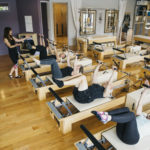 Joe Pilates said – “Within 10 sessions you will feel the difference, within 20 sessions you will see the difference and within 30 sessions, others will see the difference.” Our clients agree with him and so do we! As you become more advanced in the method and obtain the results you are striving for, discuss what plan of action to take with your trainer in order to maintain or enhance your results further. 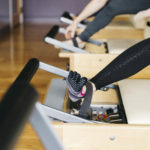 Since Pilates is designed to be more gentle on the joints then other exercise methods while still placing the critical demand of resistance training on your muscles, it is acceptable to train daily in the method… provided you have a well rounded program that enhances your entire body and not just a specific target area. Keep in mind you will only train with us a FEW hours weekly and what you do on your own will have a HUGE impact on your accomplishments. Your trainer will occassionally assign homework (exercises, stretches, challenges, etc) in order to enhance your health and fitness goals. This will greatly benefit your results when you comply. 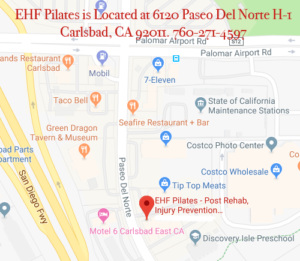 Following the advice of your trainer; practicing Pilates regularly; engaging in regular cardiovascular training at least 4 days per week; utilizing our social media tools and newsletters will all aid you in achieving the results you expect to see quickly… we encourage you to take advantage of all the resources we provide!